Adding to the outlandish accessories we have seen as of late, AMBUSH recently released an earring modeled after the common clothespin. 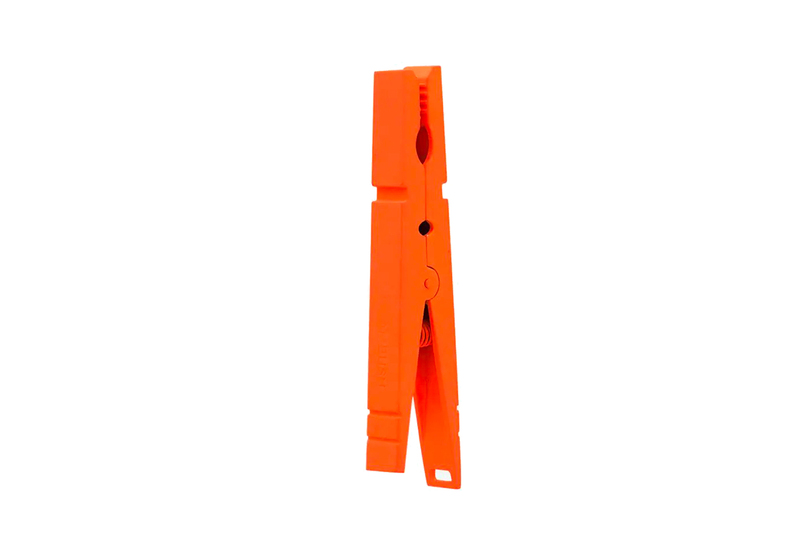 Crafted of brass, the Nobo Clip Earring sports a high-visibility neon orange-tone and is decorated with an engraved logo stamp. A clip-on fastening offers the statement piece a secure fit while staying true to its household item inspiration. Priced at $400 USD, AMBUSH’s Nobo Clip Earring is available now at Browns. For more contemporary fashion, WWW.WILLSHOTT’s 2-Link Split Chain Necklace defies the rules of jewelry. The two are rumored to play mother and son. The latest take on the popular model.